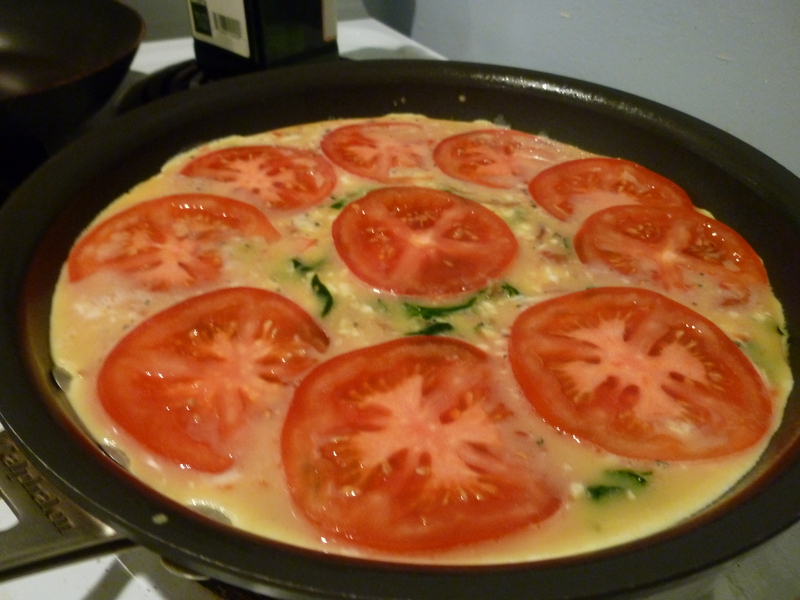 Frittatas are one of my favorite things to make when I have veggies on hand. It’s a good way to get in some protein without having a heavy meal and it is so easy to adapt, depending on what veggies and cheese you have on hand. It is especially great in the spring and summer when great local produce is available. I like to have a slice of frittata with a nice salad and some crusty bread. My favorite crusty bread in the Boston area is Iggy’s Francese. 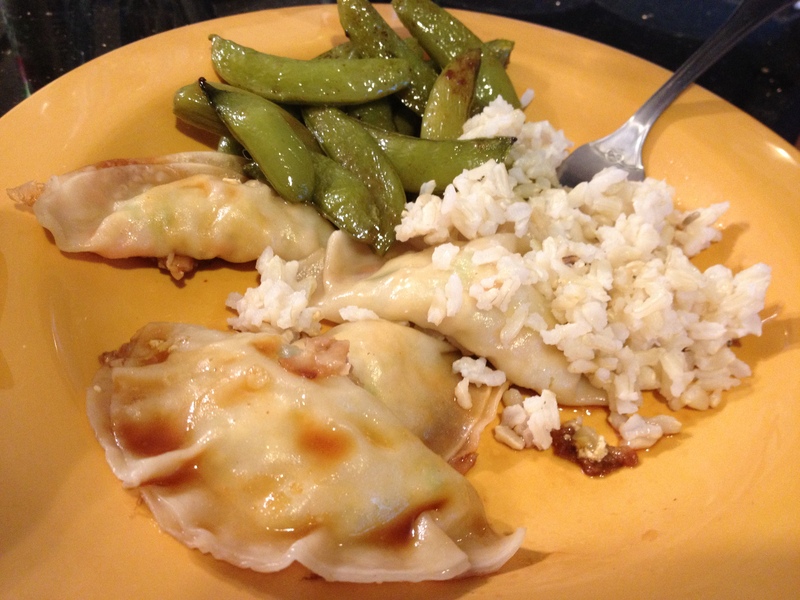 It’s delicious and fairly healthy! I always have a carton of Egg Beaters in the fridge, so if there isn’t enough liquid for the amount of veggies, I just add in some Egg Beaters and a couple tablespoons of milk. In an oven-proof saute pan, heat 1 tsp olive oil over medium heat. Saute mushrooms until they just start to brown. Add garlic and continue to cook until mushrooms have softened. Add red pepper and artichoke hearts and cook for 1 minute. Remove veggies from pan and set aside. 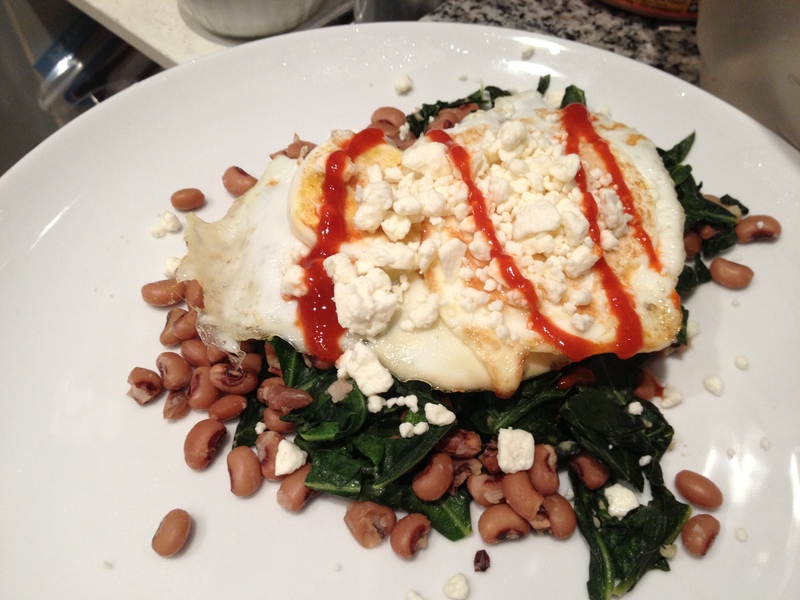 In a small bowl, beat together eggs and egg whites. Spray the saute pan with cooking spray. 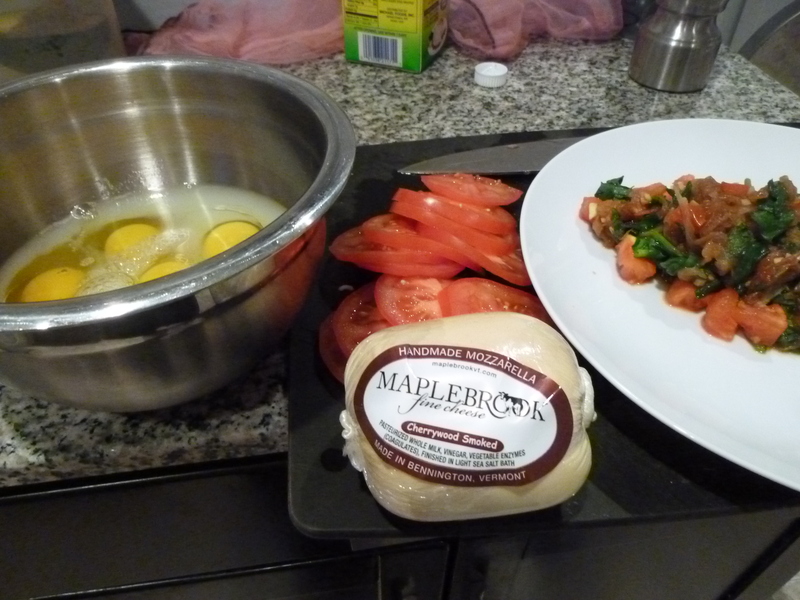 Add veggies back into pan and pour the egg mixture over them. Continue to cook over medium heat until about 3/4 of the way up the pan has cooked through. 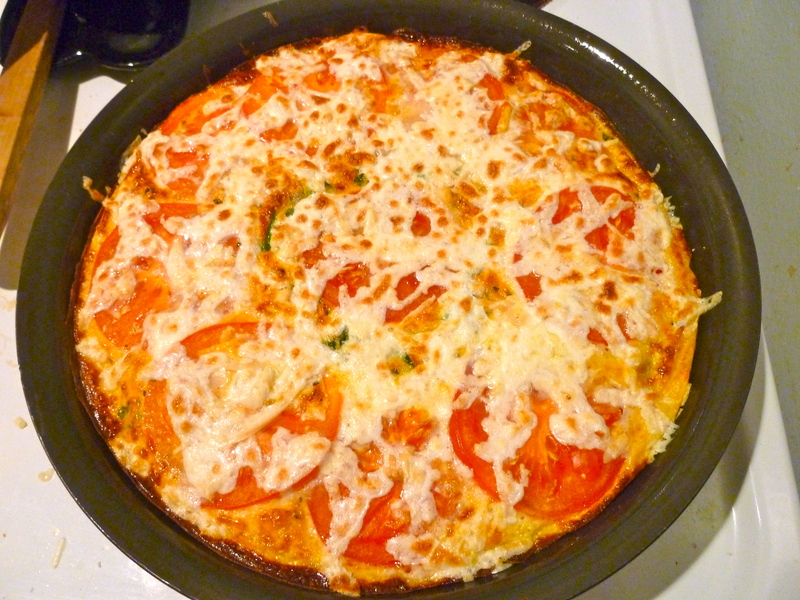 Sprinkle the feta cheese evenly over the top of the frittata. 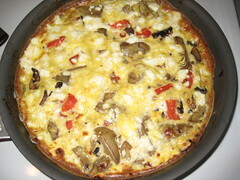 Place in over under broiler and broil until the top is no longer wet and the cheese begins to brown. Remove from oven. Cut into 4 servings and serve with salad and bread.